AAWeb, school financial solution for CA, CO, GA, IA, IL, KS, NE, NM, NY, PA, VA.
AAWeb is an easy-to-use, web-based school financial solution that accommodates multiple locations, delivers district-wide reporting, and protects sensitive account information through secure, real-time access. 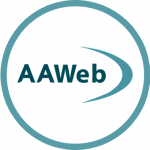 AAWeb is designed for various significant accounting functions with built-in report consolidation. Users have the ability to track receipts, assign activity fees, monitor payments, add and maintain vendor information, as well as simplify fund transfers between activities.